Secure and comfortable, this back rest will adjust to a number of positions from a low, lying angle to an upright, sitting position. Luxury Adjustable Back Rest...Secure and comfortable, this back rest will adjust to a number of positions from a low, lying angle to an upright, sitting position. 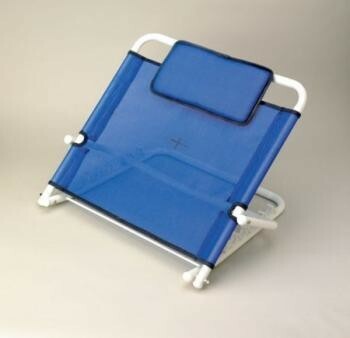 The metal frame is covered with a breathable nylon fabric and is supplied with a small pillow for extra comfort. Maximum User Weight: 173/4 Stone (113kg). Maximum height of back 580mm (223/4").